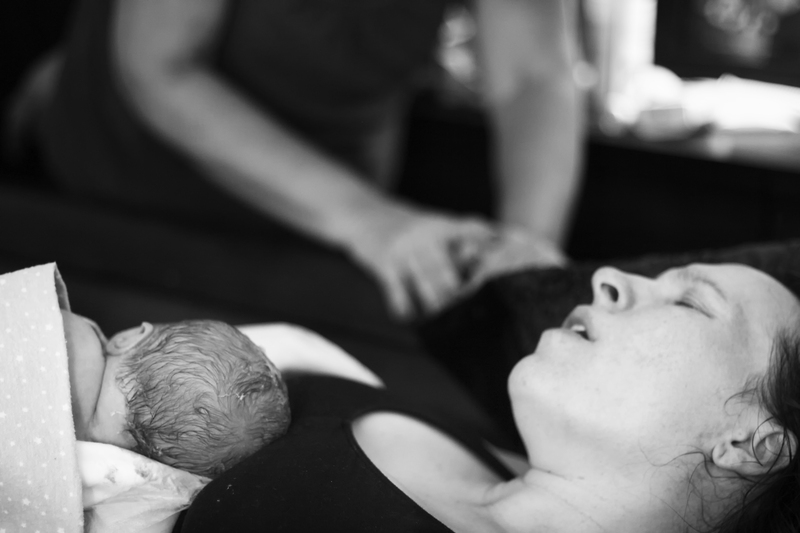 Another perfect birth story. They are all so different- This is a fourth baby, born at home with a wonderful support team. You can find this mother's blog here. me 9 so I would think it would be soon). I went back downstairs and got into the tub. dose of the antibiotics. Korbin was still high up and needed to come down more. decided to take the birth upstairs because I couldn’t stand being in the pool anymore. side of the bed for awhile and just push standing. regain some of my composure( I was losing it by this point lol). moving to my back and pushing which was very helpful and brought him down a lot. comfortable in my bed and started nursing Korbin right away.